Steve Whilhite also knows as the “Father of GIF’s” decided to use his 5 word acceptance speech to clear up some debate over the years. 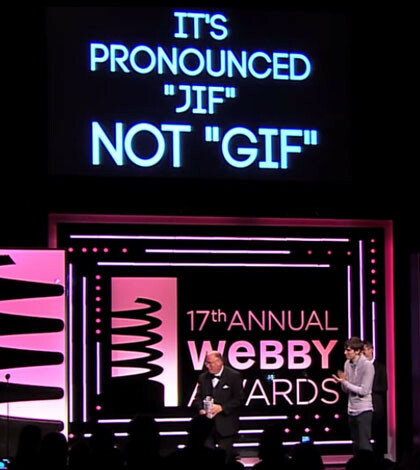 Rather than speaking the words he decided to use an animated GIF confirming to most that GIF is indeed pronounced “JIF” Watch the clip below from the 17th Annual Webby Awards. 26 years later and we can finally stop debating!